The Mass. Eye and Ear project would reshape a twisting section of Storrow Drive into three acres of new parkland. The Massachusetts Eye and Ear Infirmary will unveil a bold proposal next week that would reshape a twisting section of Storrow Drive and create three acres of new parkland on what are now parking lots. The project is modeled after the popular park in Post Office Square in downtown Boston, where an urban greenspace was created to cover underground parking. Mass. Eye and Ear would replace the existing 327 surface parking spaces that are currently split into separate areas by Storrow Drive with more than 1,000 spaces in a four-story underground garage. The surface lots would then be consolidated into new parkland connected to the Esplanade. As part of the plan, the hospital seeks to construct a 180,000-square-foot addition to its headquarters that would be elevated above Charles Street on columns. Completing both projects would allow Mass. Eye and Ear to add more than 250 permanent jobs, the hospital said. 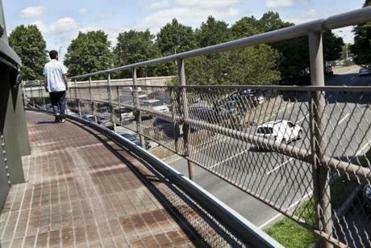 The cost of the parking garage and park is estimated at $173 million, but Mass. 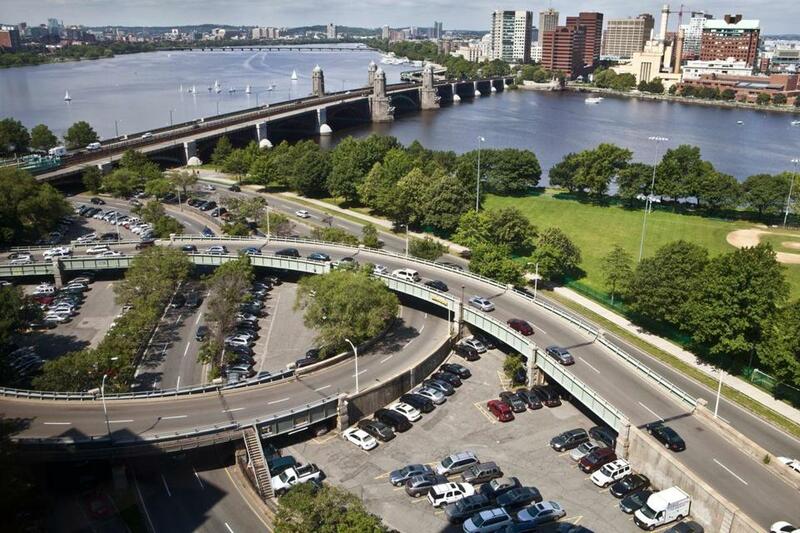 Eye and Ear wants the state government to kick in $30 million for moving the inbound side of Storrow Drive closer to the Charles River, and for replacing the two entrance and exit ramps that cross over the property. In exchange, Mass. Eye and Ear would pay to maintain the park over the garage. Mass. Eye and Ear’s proposal is in response to an expected solicitation from the state, which owns the parking lots the hospital has leased for decades. The Department of Conservation and Recreation said it will put the lots out to bid for a new five-year lease for parking, but the agency said its long-term plan is to have the site converted to green space. As one of the world’s largest eye-and-ear care centers, Mass. Eye and Ear said it needs additional facilities to better accommodate patients and its research activities. The hospital also said it faces chronic parking issues stemming from its use of several small, oddly shaped lots squeezed in between lanes of Storrow Drive and the two flyover ramps. Street said the 188-year-old hospital sees itself as part of the neighborhood, despite struggling to grow in a crowded area dominated by Massachusetts General Hospital. Street said the garage would be open to the public and could provide much-needed parking capacity for concerts and other events at the Hatch Memorial Shell or on the Esplanade. The ambitious project faces many obstacles, not least that Mass. Eye and Ear would have to convince the Legislature to approve legislation authorizing the negotiation of a 99-year lease for the garage site and then get the state to contribute $30 million for the roadway realignment. The government is about to spend $300 million on a massive renovation of the adjacent Longfellow Bridge. State transportation officials declined to comment whether they support realigning Storrow or if they would be willing to pay for it. The Longfellow project also presents a logistical complication, as it is expected to take around three years and will require using a portion of the existing surface lots as a staging area. Mass. Eye and Ear has begun to brief neighbors on its plan, and so far it’s been welcomed cautiously. Steve Young, president of the Beacon Hill Civic Association, said he was pleased by the proposed addition of green space. “We would love to see it become parkland and see the recreational potential of that whole area maximized,” Young said. Sylvia Salas, executive director of the Esplanade Association, said her group would be briefed on the plan this week and is reserving judgement. “But we feel strongly that parkland should be used as parkland,” Salas said. The state representative for the area, Martha Walz, is waiting to hear from neighbors before deciding whether to sponsor the legislation the infirmary needs. Walz said that while the proposal “raises a tremendous number of questions,” it’s also an opportunity.